Envy Smile Dental Spa provides a warm and caring environment for patients of all ages to receive top quality dental care. We are committed to making sure your dental experience is a positive one by offering a spa-like atmosphere, a team of talented and friendly specialists and the latest in advanced dental equipment to minimize any discomfort. Whether it is a routine dental cleaning & checkup in preventative dentistry or expertise in TMJ treatment, you can trust Envy Smile Dental Spa to deliver the high standard of care you deserve as a family dentist in Brooklyn. 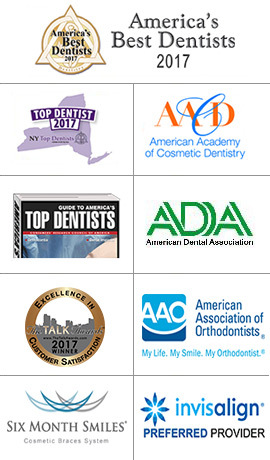 We believe you deserve the best dental care in Brooklyn. Envy Smile Dental Spa offers a full range of services in general dentistry including routine cleanings and exams, metal filling removal, TMJ treatment and emergency dental care. By offering quality preventive dental care, we promote healthy and long-lasting smiles you can be confident in. We have an on-staff periodontist and endodontist to ensure your teeth and gums are equipped with the highest expertise in caring for your oral health. Our all-inclusive dental practice also offers the finest in reconstructive and cosmetic dentistry as well, giving our patients the opportunity to not only maintain a healthy smile but enjoy an attractive smile that others will envy. For your added convenience, our Brooklyn dental practice will make every effort to schedule same day appointments in general dentistry. We want to provide hassle-free dentistry that you feel confident in for your entire family. Our practice accepts most dental insurance plans and offers CareCredit to qualified patients. Envy Smile Dental Spa is currently welcoming new patients and we look forward to helping you maintain a healthy and confident smile for life. Contact our Brooklyn Family Dentist Office today to schedule an appointment for your or a family member. Do you have questions about Family and General Dentistry services we offer in Brooklyn? Would like to schedule an appointment with the top Family dentist in Brooklyn, Dr. Weiner, please contact our office.